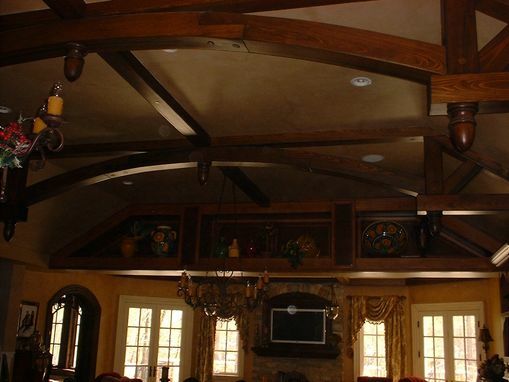 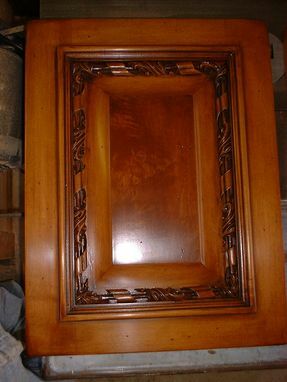 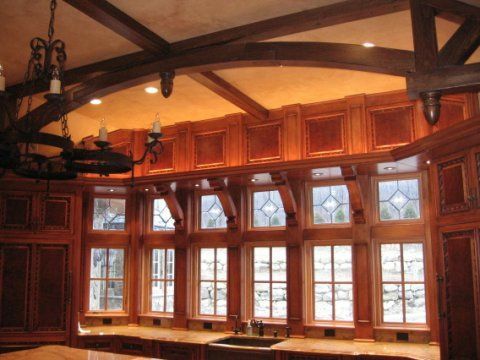 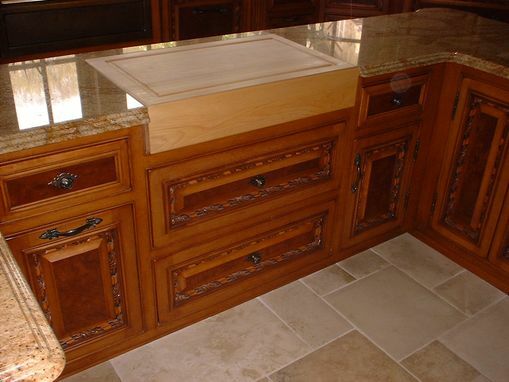 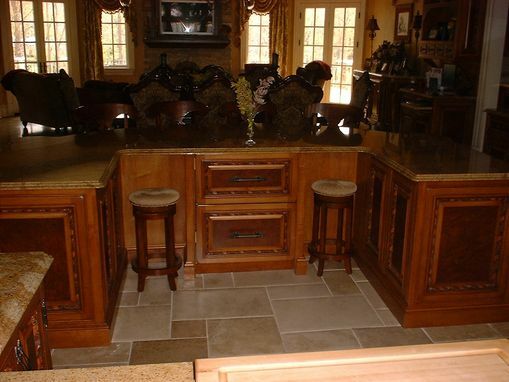 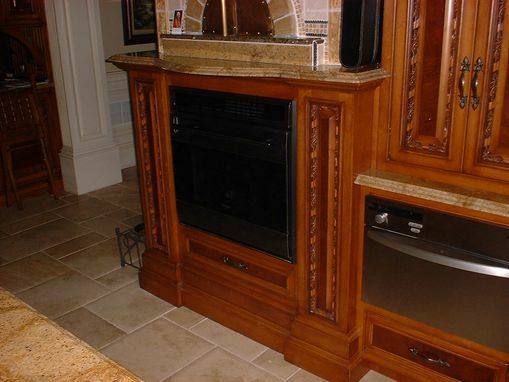 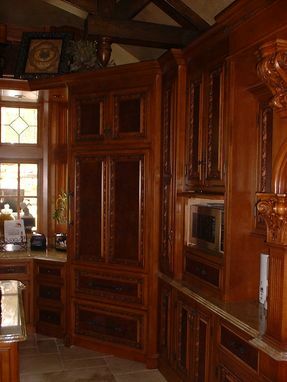 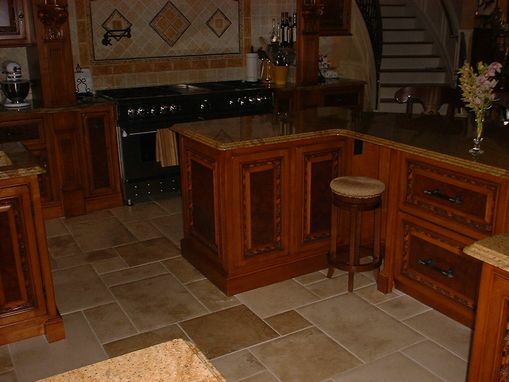 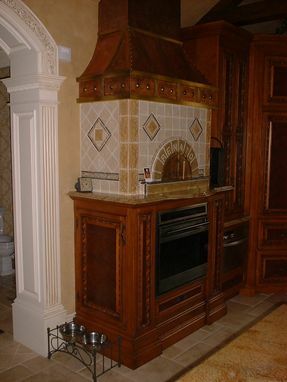 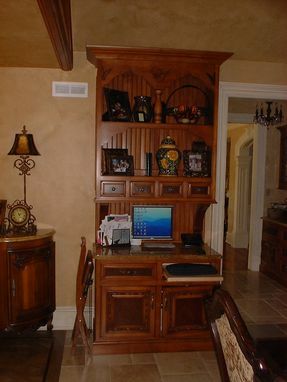 This kitchen has 1" thick doors and face frames, carved moldings and burl veneer on the doors. 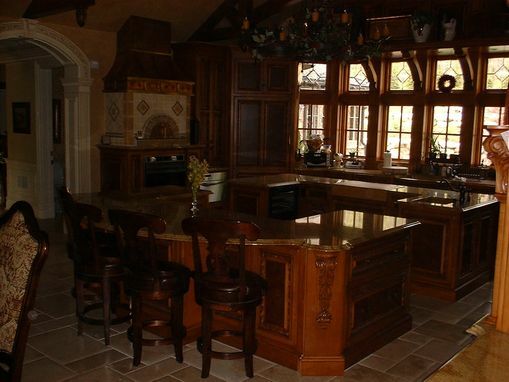 It is constructed with solid maple hardwoods with a distressed stained and glazed finish, producing a beautiful patina to the cabinetry. 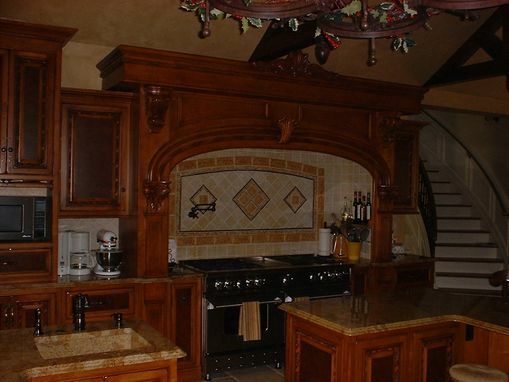 Included in this kitchen are 2 subzero refrigerators, a pizza oven and coffee bar, 2 Islands and decorative trusses on the ceiling.